Herman Goodden's new book SPEAKABLE ACTS gathers together his six plays which have been professionally produced on Canadian and American stages. SLIPPERY or YOU CAN'T GET THERE FROM HERE "Herman Goodden’s play is funny, sad and thought provoking and director Charlie Tomlinson has presented it well for young audiences." 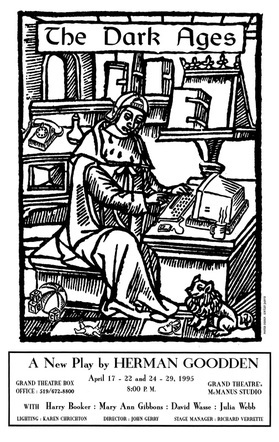 THE DARK AGES "Herman Goodden is serious about writing, even when his material is funny. At the heart of all his work is a love of language, an acute understanding of the human condition, and a desire to write for performance. Most of his writing is seldom lifted off the printed page when he does his day job as a journalist but the material he writes for performance is crafted by a man with a fine ear for the spoken word." 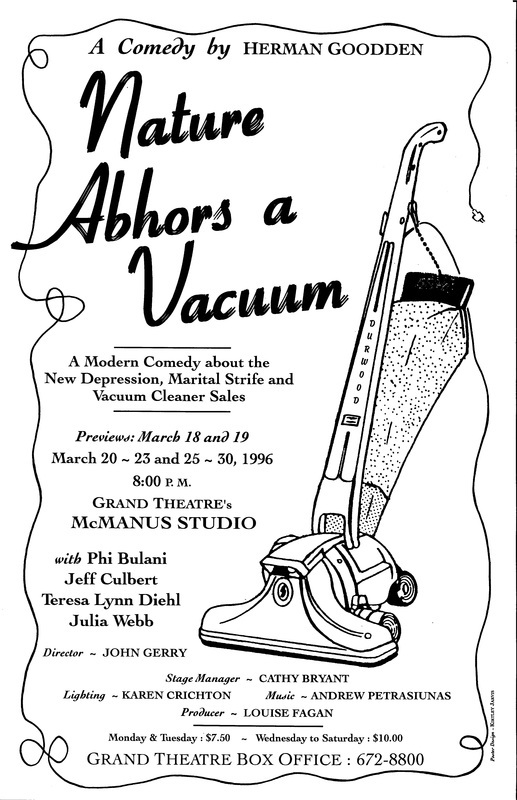 NATURE ABHORS A VACUUM "A dig at London’s downtown, some amusing insights into religion, a poignant portrait of a door-to-door seller and some genuine wisdom about marriage. 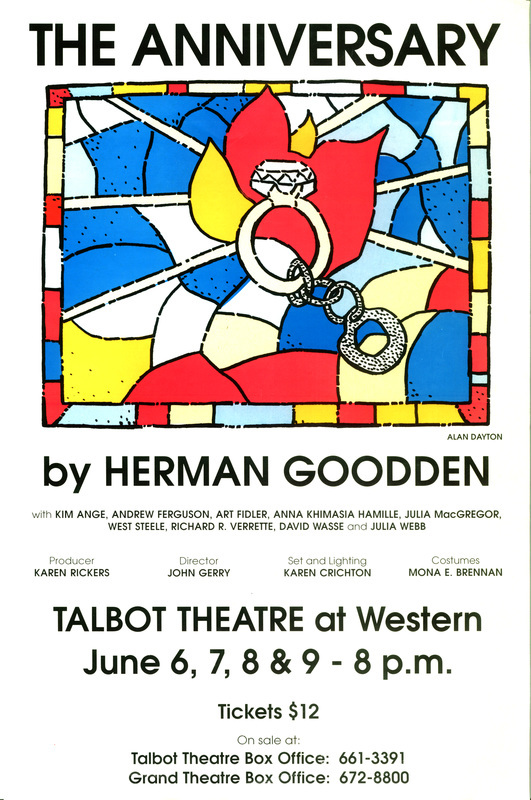 London writer Herman Goodden has wrapped all that and more into his play."